The market frustrates investors when it behaves in unexpected ways. 1. Do Stocks Increase or Decrease After the New Year? The stock market sometimes deviates from its usual behavior. This is called an anomaly. Some anomalies come and go quickly, and others happen just frequently enough to frustrate the rational investor. Some of the most common anomalies present intriguing trading opportunities and others simply make for interesting speculation as to their causes. Known types of anomalies include the January effect, where stocks that performed poorly in the end of previous year often bounce back in January, and day-of-week effects, where stocks tend to do better on Fridays than on Mondays. Stock market anomalies are unusual patterns in the stock market. Investors can exploit these as a market efficiency that can bring good results, but you shouldn't expect anomalous behavior to always continue or follow a pattern. This anomaly is perhaps the most rational. Stocks that did poorly in the fourth quarter of the previous year tend to outperform the market in January. One reason this may happen is investors tend to sell their losers just before the end of the year so they can write the loss off their taxes. Buyers who don't want to get caught up in tax selling wait until January to buy the stocks. This drives the price back up. This explanation would be very reliable if fourth-quarter losers always outperformed in January, but this doesn't happen often enough to make buying December's losers in January a profitable strategy. Stocks tend to have positive results on Fridays rather than Mondays. Statistically, this anomaly is true, but it is not true enough to be predictable every week. An investor who buys a stock on Friday because it is supposedly an "up" day can lose a lot of money if the stock goes down. Similarly, avoiding stocks on Mondays because they supposedly aren't as good as Fridays may mean missing out on a day of rising prices. This phenomenon is sometimes called the weekend effect, and it's been documented since the early 1970s. Some research has found that it varies in intensity and even in whether it holds at all based on the size of the companies involved. Possible explanations include a tendency for companies to hold bad news until after the market closes on Fridays and general trader ebullience at the end of the week. Stocks that tend to do very well will reverse and under-perform the market for as much a year. By the same token, stocks that were under-performing sometimes begin outperforming for an extended period of time. This occurs whether or not company financial statements justify the price movements. This may be due to investor psychology. They expect high-fliers to come back down and "neglected" stocks to get discovered and rise. The expectation may actually cause the change in prices. Unfortunately, it can be quite hard to predict when investor sentiment or other factors will cause a price to suddenly increase or decrease. Since 1950, the 12 days starting on Dec. 25 have produced superior stock market results, when compared to any other 12-day period in the market. The performance is almost five times better. People who observe this phenomenon often call it a Santa Claus rally. If this happened every year like clockwork, all investors would have to do is save up their money until Christmas and jump in the market. However, investors do not always get a Christmas present from the market, and many end up with a lump of coal in their stockings for trying to trade an anomaly. It's also not necessarily a good sign for investors long-term: historically, markets have done better in years following a December with no Santa rally than one that has one. 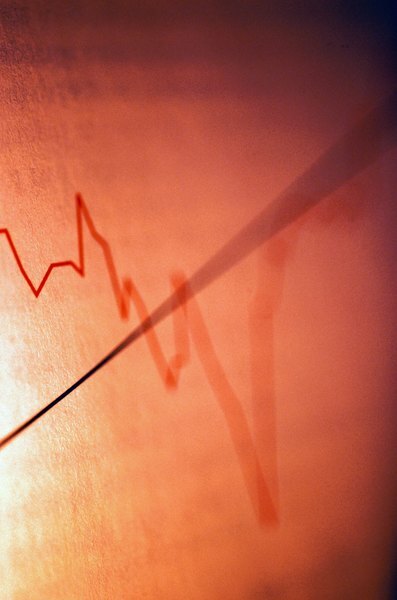 IG: What Are Market Anomalies?